Park House near Killeagh was part of the estate of the Ponsonby family. The Ponsonby estate was the scene of one of the most bitter struggles during the Irish Land War of the 1880s and 1890s. The tenants on the estate demanded a reduction in rent from their landlord. Ponsonby, heavily in debt, refused and the tenants stopped paying rent. Arthur Balfour, the Secretary of State for Ireland, secretly formed a syndicate to buy the estates from Ponsonby. Balfour was determined to maintain landlordism in Ireland. When the secret buying of the estate became known it caused great outrage. The syndicate obtained eviction orders and on 18 June 1889 police and military arrived with a battering ram and several tenants were evicted from their homes. 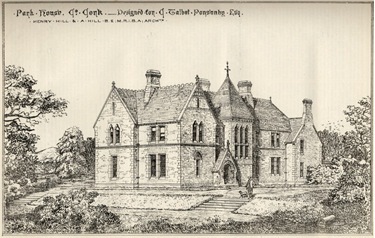 The architects were members of the Hill family who designed some of Cork’s best known buildings including the Woodford Bourne building and the Queen’s Old Castle. Killeagh House was built in the late 1700’s. It was occupied by Roger G. Davis who owned the property including houses and lands in the area under the landlord Arthur de Capell Brook. Roger Davis built Dromdiah House and lived there from 1833. Ed. Connelly a former Governor of Cork Gaol was born and resided in Killeagh House ( dates unknown at present ). In 1893 Edward Green ( whose wife was a member of the Davis family) lived in the house until the 1930’s. There is a record of “ Copy fee farm grant “ to Roger G. Davis from Arthur de Capell Brooke & dated 1861. The house remained in the Davis family until 1937 when it was sold to Patrick Kelly, a cattle dealer and native of Killeagh . Paddy Power bought the house in 1973, however at that time it had running water and bathroom since the late 1800’s but had never been wired for electricity. It was actually in the exact condition of the times of the Green family. In 2006 it was sold to Donal Lucy from Ballincollig with the intention of developing the orchard to the rear and side of the house. At present it is up for sale with the house in one lot and the orchard in the other. Church Cottage Killeagh, Co. Cork. Church Cottage is situated opposite the old graveyard in Killeagh village on the south side of the N25, Cork-Waterford road. This building was formerly in use as a school house. A Mr and Mrs. Patrick Cronin then owned the house. Mrs. Patrick Cronin released some ground in 1905 for extension of the old graveyard on its southern border. Mrs. Cronin who died in 1945 aged 98 years. When she died she bequeathed her house and lands (150 acres) to the Cistercian community of Mount Melleray, Cappoquin, Co. Waterford. In 1935 the graveyard was further extended towards the Ballyquirk road. This land was acquired from the Cistercian monks. They brought in a land steward to manage the farm, his name was Daniel Ormond. The land was subsequently sold off in various lots. Tom O’Brien and Sean Murphy’s fathers bought most of the land, which was south of the village. The house and some land were bought by James Lynch who operated a hatchery from the house where an extension was added to the side. Peter Lee owned the building from the late 1970’s. He started restoring the building to its original condition. 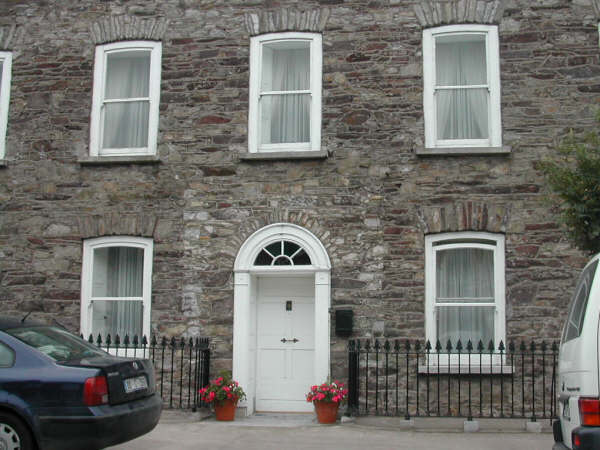 The house then passed on to a woodwork teacher from Cork who completed the restoration and which he used as a family home. The house then passed to its present owners. Not much land now surrounds the house. Some of the land was sold by Tom O’Brien for development and Woodview estate is now there, completed 2000 by Star Homes. The Aghadoe estate was based at Aghadoe house, which is located above Glenbower Wood, near Killeagh. Aghadoe Castle was in the grounds of the the present Aghadoe House. This was the DeCapell Brooke or Supple estate. Philiph deCapell arrived in Ireland with Robert Fitzstephen(Strongbow) in the first wave of Welsh-Norman knights around 1170. They first established themselves on land near Killeagh in 1172, later known as Aghadoe estate. Sir Arthur deCapell Brooke built a new castellated mansion in 1836 on the site of the 18th centuary house which itself had succeeded the original castle. The present house occupied by Mrs. Twohig is a reduced version of the building in 1836. The castle appears to have stood partly on the site of the present house and partly to the west of it. Immediately to the south-west there is a columbarium or, as it is known, a Pigeon House. There is a ‘Shila na Gig’ at the front of this, which was moved a few years ago but is now back in its recess. This house was the birth place of Richard John Uniake(1753-1830), Attorney General of Nova Scotia, Canada for 33 years. He was also 1st president of the Charitable Irish Society of Hallifax. The house was built from the stone of Glenane Castle, whose estate belonged to the Fitzgeralds. The house was in ruin for many years but is now in the process of being restored by Stephen Ottman from Dungorney. In fact, the restoration is nearing completion. In 1703, Captain James Uniake purchased the estate of Coolegorrah from James Fitzgerald of Glenane. He built Mt. Uniake House from the stone of Coolegorrah Castle and changed the name from Coolegorrah to Mt. Uniake. James Uniake was born in Dublin in 1671 and fought at the Battle of the Boyne. In family legend he is said to have distinguished himself by giving his horse to William of Orange when the latter’s was shot from under him. James Uniake was presented with a pistol later as a brave and faithful man. Mt. Uniake House is in total ruins today. There was a foot path from the village to the house on the right hand side of the road, edged with limestone kerbing. There was a lodge house at the enterance. The house burnt down in the 1990’s when a worker tried to remove a hive of bee’s by trying to burn them out.